The Gallipoli Campaign, a pivotal event in the First World War, began 99 years ago, on April 25th, 1915. Paul Beston, who has newly joined Peter Sommer Travels’ roster of tour experts, has written this very thoughtful piece, placing Gallipoli in both a broad cultural and a highly personal context. 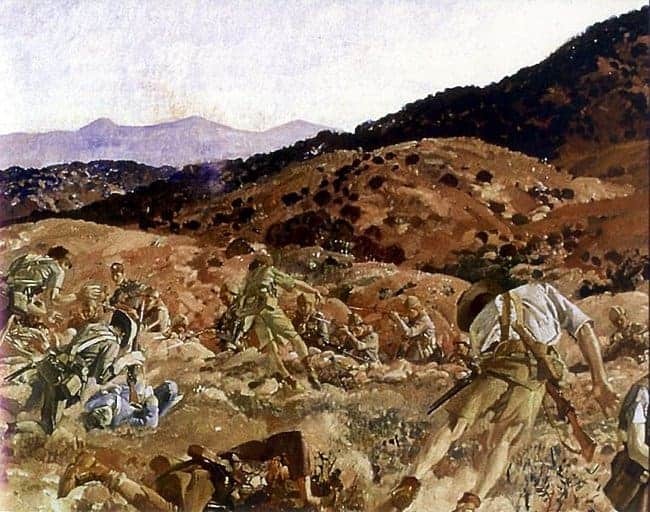 The charge of the 3rd Light Horse Brigade at the “Nek” on August 7, 2015, one of so many futile attacks at Gallipoli, as depicted by George Lambert. Gallipoli is a place of beginnings, endings and connections. Geographically, the rocky peninsula marks the beginning of Europe, with Asia easily visible across the narrow straits between. That waterway connects as much as it separates, and what looks like a mere sliver of land on most maps has experienced more than its fair share of history. 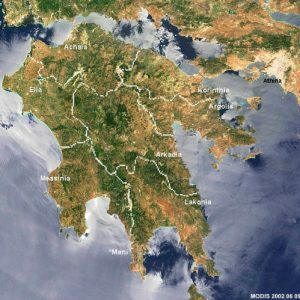 Here it was that Xerxes’ mighty Persian host entered Europe in 480 BC, having bridged the waters which the Great King had so impiously (according to Herodotus) flogged; a century-and-a-half-later, Alexander self-consciously made the same journey in reverse, supposedly hurling his spear into the land of Asia as he leapt ashore, claiming the continent as his own. Gallipoli’s apparent role as a site of unending war between ‘East’ and ‘West’ continued into the Middle Ages, when Kallipolis (the ancient Greek town which gives the peninsula its modern name) became the first place in Europe to fall to the Ottoman Turks in 1354. In 1915, the intention of the Allied powers was that it would aptly be the place where Ottoman power ended. The conflict proved to be less about the end of empires than the generation of nations: Gallipoli plays a major part in the founding stories of the modern nations of Turkey, Australia and New Zealand as they found their own heroes in the 57th Regiment and the Australian and New Zealand Army Corps (ANZAC). These three countries in particular remain profoundly linked by the events of nearly a century ago. 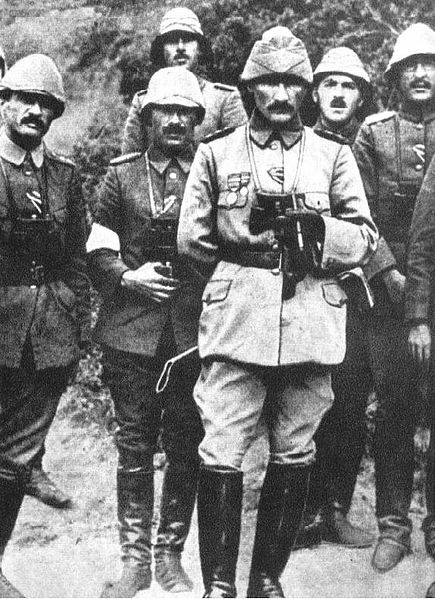 Mustafa Kemal among Ottoman Turkish officers in 1915. The campaign at Gallipoli is one of those points in history where you see the fates of many people and peoples intertwine, some to be cut off, some to send out unexpected ripples into the future. Gallipoli also offers a potent array of participants who went on to play important parts in the lives of their countries. The scheme to force the straits was of course the general idea of Winston Churchill and its failure – not all for reasons that were attributable to him – saw his eventual resignation from the Cabinet, temporary political eclipse and a period on the western front. Among the officers present in the campaign was British-born New Zealander Bernard Freyberg, who in the initial landings swam a mile to shore by himself under fire to light flares to distract the defenders from the true landings, returning to receive a well-earned DSO (Distinguished Service Order). He remained on the peninsula right until the evacuation, receiving several serious wounds. Twenty-six years later, he was the commander of the Allied forces at the Battle of Crete. Bill Slim, arguably Britain’s finest general of the Second World War, was also badly wounded in the campaign, and it was here that Australia’s future general John Monash established his leadership credentials. Clement Attlee, the future British Prime Minister who would preside over the founding of the National Health Service (NHS), was the penultimate man to be evacuated from Cape Helles in January 1916; his ability to work with Churchill in the Second World War owed much to the admiration he had for the Gallipoli plan he felt had so nearly worked. 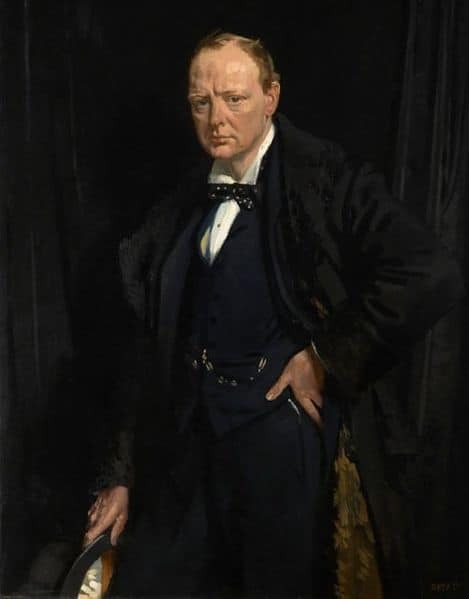 Winston Churchill in 1916, temporarily without political office as a result of the failure of Gallipoli. By William Orpen. Roger Keyes, a vigorous English naval officer in the mould of Admiral Nelson, was present at the initial naval attempt to force the Straits. In the next war, he would be responsible for the development of combined operations. The future MP Josiah Wedgewood landed through the hail of fire on the SS River Clyde’s ramps; during the campaign he came across the Zion Mule Corps of Vladimir Jabotinsky who went on to found the Irgun, the 1930s Zionist paramilitary movement active in Palestine. Wedgewood, impressed by the Jewish volunteers, went on to campaign for the lifting of immigration limits on Jews to Palestine before the Second World War. Gallipoli had some surprising repercussions. Then there were the journalists, writers and artists. Most famous, perhaps, is Keith Murdoch (father of Rupert), whose role in denouncing the conduct of the campaign has become famous. Even if his time on the peninsula was rather brief, it gave him an object lesson in press power, and brought him to the attention of Asquith, Lloyd George, Lord Northcliffe, and Australian Prime Minister Andrew Fisher, putting him on the path to a powerful newspaper career. 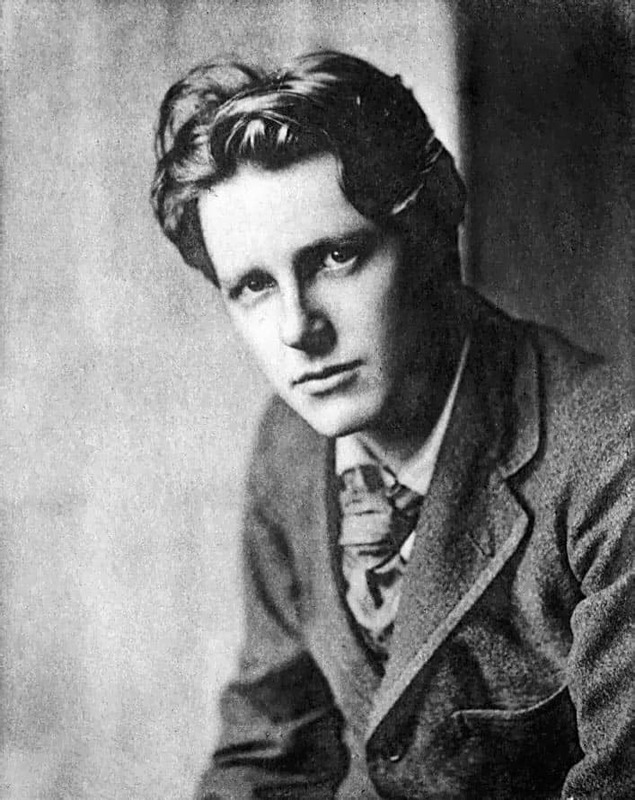 Less fortunate and probably the most famous victim of Gallipoli, though he never set foot on the beaches, was the poet Rupert Brooke, who died of sepsis off the Greek island of Skyros and was buried there. Freyberg was in his burial party; his friend Churchill announced Brooke’s death in London. The prolific Scottish writer Compton Mackenzie, author of more than a hundred books on nearly as many topics, was assigned counter-espionage duties in support of the campaign. He wrote of finding ‘marble Aphrodites’ in the Gallipoli earth. Also present was Englishman Patrick Shaw-Stewart, author of probably the best-known poem related to the campaign, Achilles in the Trench. Shaw-Stewart was a Classicist and like many of us who now sail the straits was naturally thinking of Troy, the wide-wayed city not far distant, but he was not unique in doing so. The last two lines, referring to the unarmoured Achilles striking terror into the Trojans while wearing the aegis, the armour of the goddess Athena, and ‘flame-capped’ by her, are justifiably famous. Like many of the other soldiers’ writings, they speak volumes of the sense of duty that must be borne and endured that is also to be found at times in Homer’s Iliad itself. Shaw-Stewart was to be killed on the Western Front two years later. RAMC (Royal Army Medical Corps) stretcher bearers carrying a wounded soldier at Cape Helles in 1915. On a much humbler level, Gallipoli is also a place of beginnings for me, and one that taught me how to think more deeply about the past, and how to make connections between events and ideas. The Gallipoli campaign was one of my first encounters with history, as opposed to mere story. From it, I began to see that black and white are not the hues that Clio, the Muse of History, paints in, that the ‘enemy’ didn’t have to be evil and that bravery could come in many forms. As a child, I was a voracious reader of comics, and for my generation their subject was not superheroes but war heroes. Much of this was the usual fare, and literally ‘comic book’ in its treatment of its imaginary characters in settings that pitched unkillable White Hats against legions of easily-despatched Black Hats. But some of them aspired to more and ensured this extraordinary encounter left a lasting impression on me. 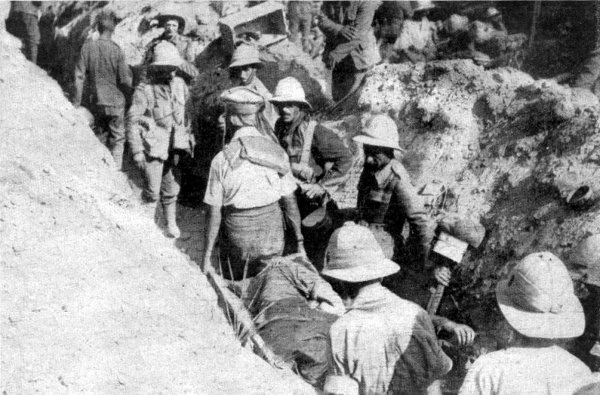 To begin with, probably Gallipoli’s best-known hero, John Simpson, an Englishman serving as a stretcher-bearer with the Australian troops, earned his praise not with a solo bayonet-charge, but by leading a donkey, saving, not taking lives until he lost his own. Nor were the enemy despicable caricatures; even the most gung-ho comic made it clear that the Allied troops respected their Turkish opponents, who were tough, resourceful, stoical and fought ‘clean’. The ‘bad guys’ weren’t bad. 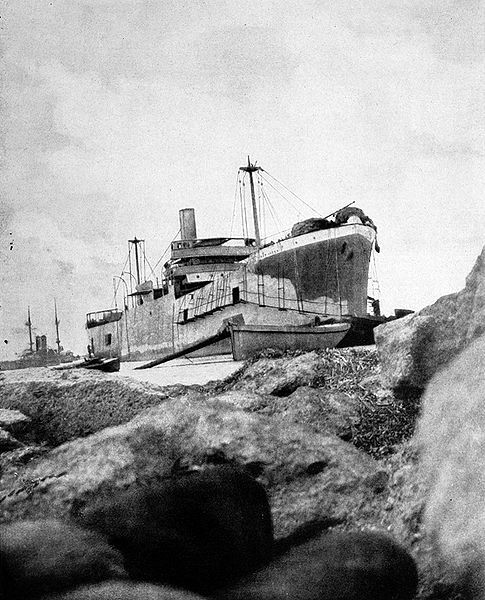 The SS River Clyde, deliberately run aground at Cape Helles. I learned of the peculiarities of the campaign: the sheer claustrophobic propinquity of some of the trenches and the unexpected willingness of the soldiers on the two sides to swap foodstuffs when not actively attacking each other. Through the exquisite penmanship of Joe Colquhoun (the artist responsible for the legendary Charley’s War series), I got something of an impression of the horrors of the campaign – the masses of dead in tents by the beachhead, the storm of fire that met those trying to disembark from the SS River Clyde (a cargo steamer converted into a landing ship) at Cape Helles. In making me look on with wonder and ask, for almost the first time, how people endured this, what it must have felt like and how it was that enemies could have admirable qualities, this youthful engagement with Gallipoli planted one of the seeds that was to grow into the passion for understanding the past that has brought me where I am today. 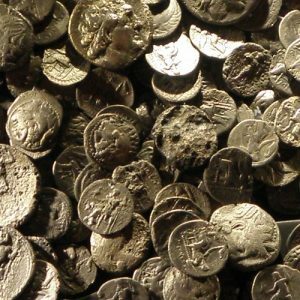 When my interest in the classical world developed, Gallipoli, the Dardanelles, the Hellespont – Troy – remained ever-present and the proximity of the two great bloodlettings did not escape my notice. As my reading grew more sophisticated, I realised that I was far from the first to make the connection and began to appreciate just how deeply the classical world had shaped the modern mind and given it its reference points. It is the luckiest thing and the most romantic. Think of fighting in the Chersonese … or alternatively, if it’s the Asiatic side they want us on, on the plains of Troy itself! I am going to take my Herodotus as a guide-book. And shake for Troy again. More than Olympian thunder on the sea. Dear won delight that set tall Troy aglow. Who smells the sweet thyme-scented breezes… Nay! Troy was a battle of many nations, or so the poet said. So too was Gallipoli, making the words of the New Zealand memorial at Chunuk Bair (Conk Bayırı) – From the uttermost ends of the Earth – all the more appropriate. For readers of the Iliad, there are echoes in all this, too. There, though the two sides fight, the poet gives no sense that one side is right and no side is demonised. 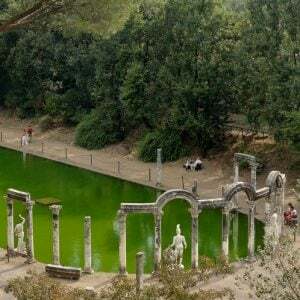 There are dark episodes, but there are also mellower touches such as the meeting of the Greek Diomedes and the Trojan ally Glaucus. The two meet as opponents in battle, but war takes a back seat when they discover that their grandfathers were friends and they vow to uphold that connection. Of course, the poem ends with the abatement of Achilles’ anger towards Hector and his return of the hero’s body to a grieving father. 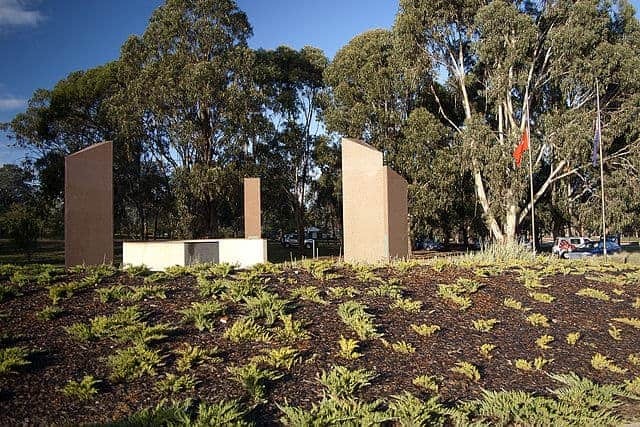 Half a world away: The Kemal Atatürk Memorial on Anzac parade in Canberra. Those heroes that shed their blood and lost their lives … You are now lying in the soil of a friendly country. Therefore rest in peace. There is no difference between the Johnnies and the Mehmets to us. Where they lie side by side now here in this country of ours … You mothers, who sent their sons from faraway countries wipe away the tears. Your sons are now lying in our bosom and are in peace after having lost their lives on this land. They have become our sons as well. The speech is deservedly repeated on the Atatürk Memorial, quite literally on the other side of the world, in Canberra. Unlike Troy, Gallipoli has become a powerful symbol of reconciliation and friendship as well as heroism and sacrifice. At Peter Sommer Travels, we have decided to expand our range of cultural and archaeological tours in spring 2015, so that visitors coming to Turkey for the Gallipoli anniversary can explore other parts of this beautiful and historic country. 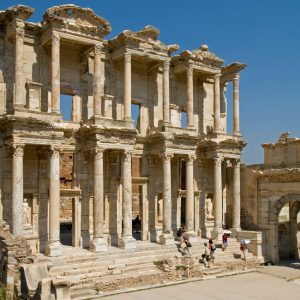 Options include Exploring Istanbul, In the Footsteps of Alexander the Great, Walking and Cruising Western Lycia and, just across the sea in Greece, Exploring Crete.